OS: Windows phone 10 build 10 0. 10586.71. It is the application of equipment supporting all Lumia, gesture-touch and Extra-info. 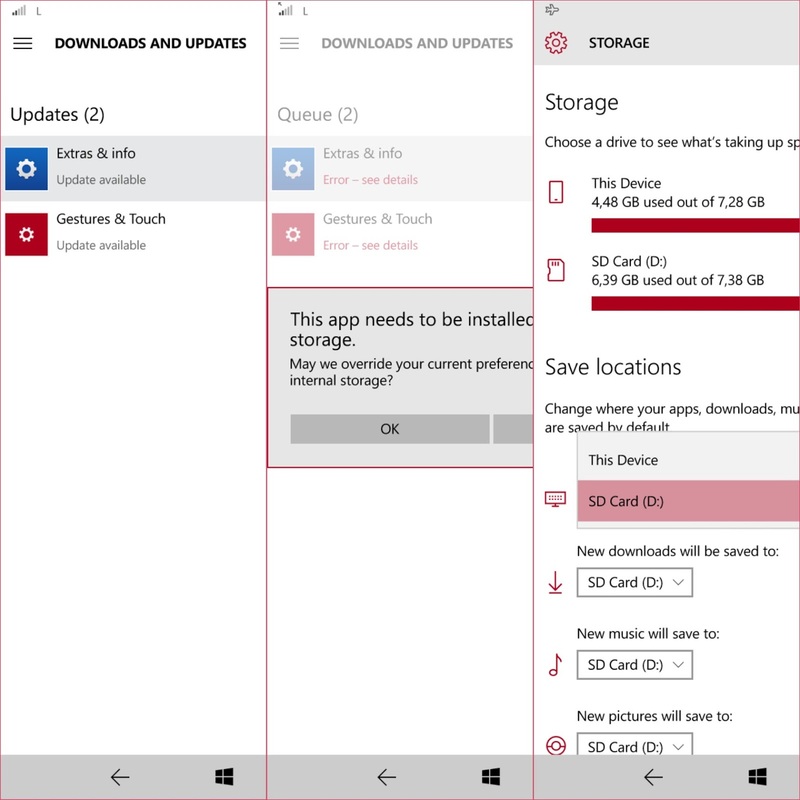 This application failure in the process of updating on Lumia 640LTE. At the start of the previous versions, Windows build 10586 till now after the update WP 10 build 10586.71 ... still has yet to be installed. Move the location of storage in an external Memory (sd-card), on the application of equipment storage. 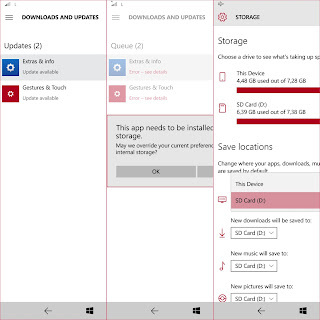 Move the storage location to internal memory (the device), in application equipment storage. Follow the instructions failure to download update through the application, click the link "error-see detils", then select "OK" button. The thing that was done, the result did not help. The download of the update application is still an Error, or fails. Hope, the Microsoft developers can fix bugs in the application for Mobile phones Lumia 640LTE. You are on the website page WINDOWS MOBILE PHONE - setting and Upgrade. Gesture and Extra cant update With the link URL http://hand-uk.blogspot.com/2016/02/gesture-and-extra-cant-update.html for this articles, you can bookmark or share to any. Our expectation that Windows smart phone users, can understand and know about OS Windows phone. Gesture and Extra cant update Is a link for you, How to use the pure smart phone.